As we told you last year, Luigi has invited his cousins from Carsoli, Italy, to Radiator Springs for a special celebration! Today, I’m very eccitata to tell you that the celebration will begin when Luigi’s Rollickin’ Roadsters, presented by Alamo, opens March 7 at Disney California Adventure park. Is there any plans to add an attraction that is the Flying Tires? Loved that ride and I am sure I will love the Dancing Cars. Will the cars accommodate one adult and two small children (3 across)? Glad we got to experience the flying tires while they were there. Looking forward to a new adventure in dancing cars! Ciao! Great to see trackless ride tech coming to Disneyland! Looks fun and s lots more lively than the sorta flat on arrival flying tires. This looks like a very cute and fun ride. Other than the height restriction, I was wondering if there are any other restrictions for this ride (ex: can expectant mothers ride Luigi’s Rollick’n Roadsters)? We were just there for our anniversary. Wish it would have already been open. But maybe next year for our 25th! Will there be a car that can accommodate a wheelchair or scotter? The wheelchair tire was fantastic. Hi, this ride looks like heaps of fun, and it opens on my 50th birthday!!!!! I will be visiting, from Australia, later this year and I look forward to going on this ride especially as it now has a connection with a milestone in my life. We having been waiting for this ride to open!! Can not wait until June to ride it! My kids are soo excited! Disneyland is our favorite place on earth. 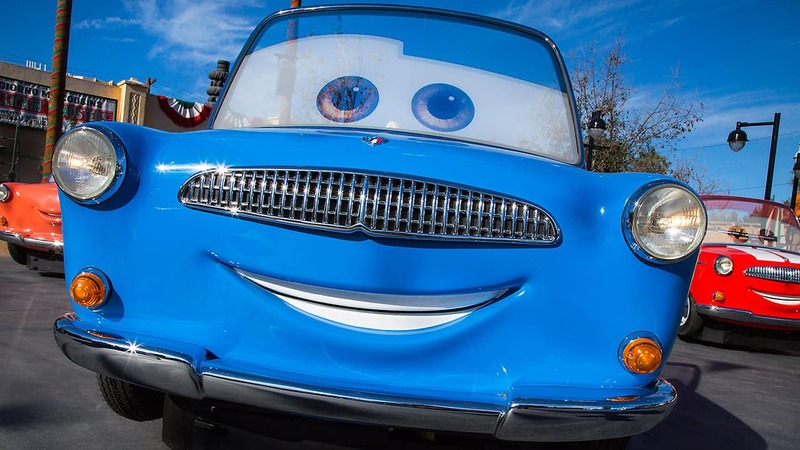 Hi Erin, I’ve got another question, did John Lasseter have any input on Luigi’s Rollickin’ Roadsters? Hey Erin! Curious, is this new ride based on the technology used in Tokyo Disneyland’s Pooh ride? I’ve heard that ride is legendary…. Nice new look to the blog, btw. Looks fantastic, like a livelier version of Aquatopia in Tokyo DisneySea. I had to laugh though, as the editors sandwiched this story (pardon the pun) between two minor items about menus and dining offerings. As if news of a brand new ride is equitable to a menu change. The theme parks still exist and thrive 60 years later because there are rides there, not because they have restaurants. Can’t wait to meet all those cousins from Carsoli and see how this ride works next week! Everyone keeps asking about height requirement.. it’s on the Disneyland.com website. Super sad to see Luigi’s Tires replaced. The video of this does not look like this will be more fun. Our family loved being in the Luigi’s bumper tires. Fingers crossed this is more fun than it looks. Is there a height reqirement ? Hi Sidne – Guests must be 32″ (81 cm) or taller to ride Luigi’s Rollickin’ Roadsters. 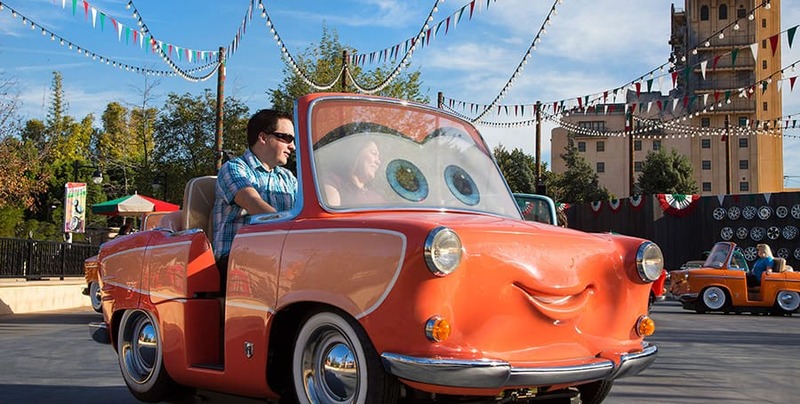 Guests must be 32″ (81 cm) or taller to ride Luigi’s Rollickin’ Roadsters. I was hearing and just curious, cause I heard this ride based tech was being implemented from Tokyo Disneyland and has the same based ride mechanics from Japan? 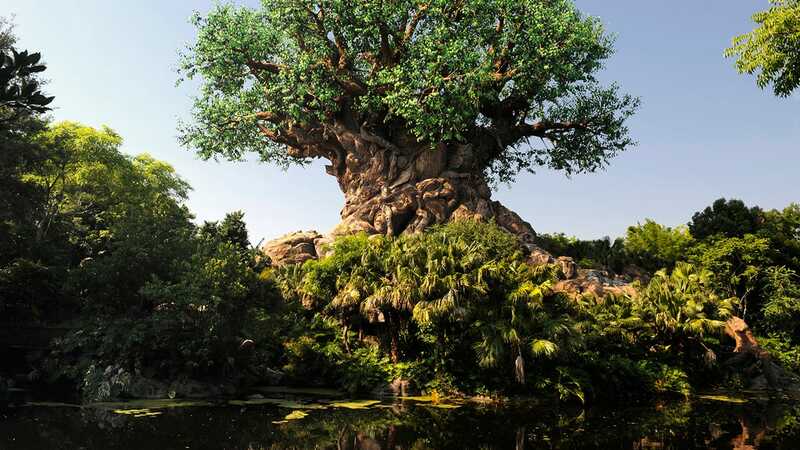 Is that true or false, cause I love learning about the integration of overseas attractions being brought here towards our domestic parks here in the States. 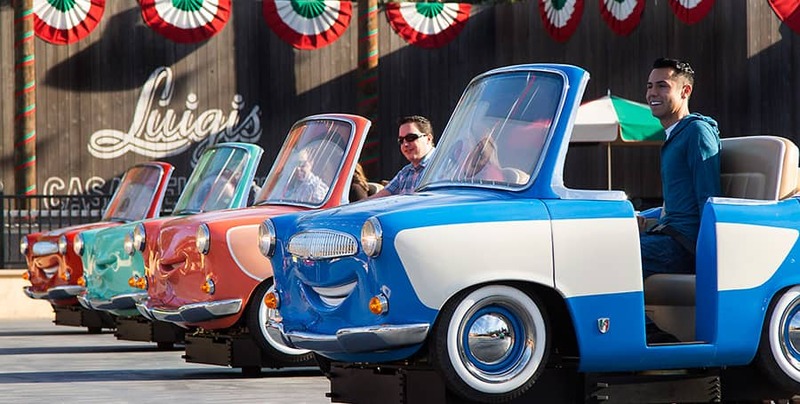 Hi Brian – While similar systems operate in other Disney Parks around the world, Luigi’s Rollickin’ Roadsters is the first Disney attraction in the United States with a trackless ride system. Awesome! I’m really looking forward to this. Thanks so much for the update. I enjoyed the Flying Tires ride, and I think its a shame that it didn’t work out, but nothing ventured, nothing gained. This looks like it will be fun. That’s right! Stay tuned, because we’ll share a special behind-the-scenes feature with Tony Shalhoub soon here on the Disney Parks Blog. Will there be any height restrictions for this ride? This looks like a good ride to take my nephew on this summer for his first time at DLR! Looks awesome and can’t wait. I love the look and feel to this new ride. Will totally be there for the AP Preview on March 4th. I see that there will be AP preview on Friday, any chance of AP previews during the weekend? So excited to check this out!! ??? The flying tires were fun but this new concept seems so fun and unique! Can’t wait to check it out! Time to ask the hubby for a Disneyland trip!! ?? Will there be a minimum height requirement for this attraction? Whew, just at the tail end of our trip. Was hoping to find out for sure. Thanks! What will be the height requirements for this ride? Do you know what the height requirement will be? My little ones will be so excited to ride! Looks fun. Did Tony Shalhoub provide Luigi’s voice again? He did! We’ll have a behind-the-scenes feature with Tony Shalhoub soon here on the Disney Parks Blog. I am coming the 4-6, any chance of a soft opening any of those days? This looks amazing! Do you know if Fastpass distribution will be available?